As we begin the new year, we have officially cycled into the water element! In contrast to the fire, warmth, and yang energy of summer, this is the most yin time of the year. Darkness, stillness and cold temperatures prevail. Within the snowy folds of winter is an invitation to rest, nourish and consolidate resources. 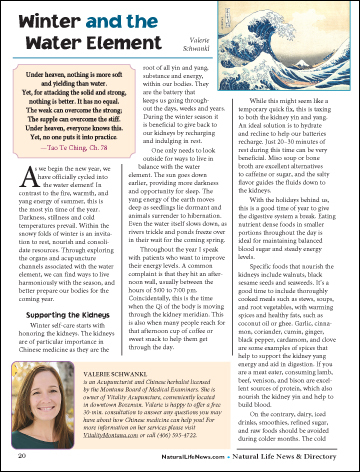 Through exploring the organs and acupuncture channels associated with the water element, we can find ways to live harmoniously with the season, and better prepare our bodies for the coming year. The Fire element is most strongly felt during the summer season, a time of full expression. The seeds of spring are coming to fruition and there is an upward and outward movement of yang energy, which can be seen and felt all around us. With winter being the longest season of the year out here in Montana, colds have been circulating with full force. 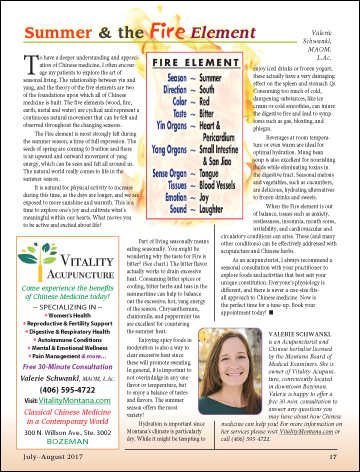 As a practitioner of Chinese medicine, I am always striving to educate others on how valuable acupuncture and Chinese herbal medicine can be throughout the year, especially during seasonal transitions. As winter begins to retreat and spring approaches, it’s never too early to start preparing for allergy season with the help of acupuncture and Chinese herbs. 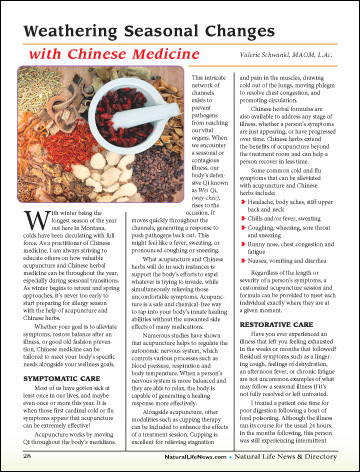 Whether your goal is to alleviate symptoms, restore balance after an illness, or good old fashion prevention, Chinese medicine can be tailored to meet your body’s specific needs alongside your wellness goals.